As we get ready to tackle a new year, business owners have a whole slew of new considerations and challenges to navigate. From new state and local tax laws to cybercrime threats that never seem to let up. 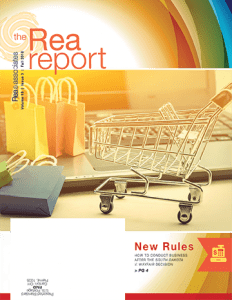 This edition of The Rea Report will provide you with education and guidance designed to help you overcome your specific challenges and embrace the opportunities of the new year. Due Diligence: To C, Or Not To C? | Should You Switch To A C Corporation Under The New Tax Law?